There are hundreds of elements that security professionals must consider every day, from fire to facility access to cyberthreats to protective equipment to training. 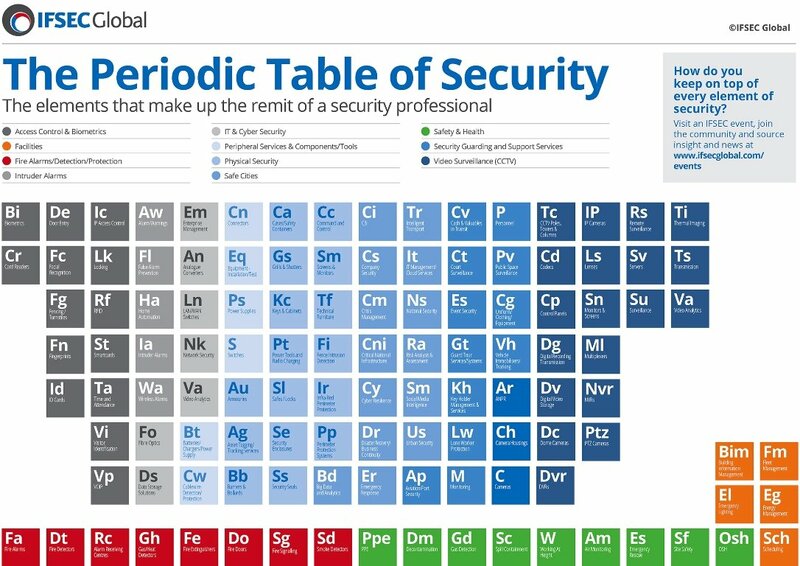 Take a look at an infographic that combines all of these elements in a Periodic Table of Security. 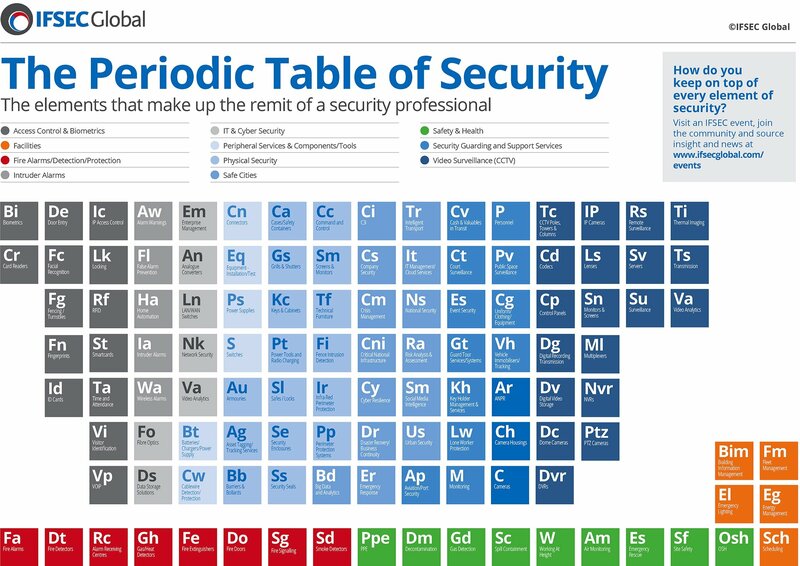 The below infographic from IFSEC Global provides a visual representation of key security elements and how they all fit together.